Shepherd Offshore owns and manages one of the largest dry docks on the east coast of the UK. Situated at Neptune Energy Park on the North Bank of the River Tyne, the dry dock is in the heart of the historic Walker and Wallsend shipyards and was part of the former Swan Hunter Shipyard. Now positioned within a world-class manufacturing cluster, the dry dock is of strategic national interest. Neptune Energy Park offers a vast supportive infrastructure, ensuring high levels of on-sight capacity, as well as capability. Our flexibility and versatility enable companies wishing to undertake civil construction, decommissioning, fabrications for the energy sectors or the manufacture of GBF’s (gravity based foundations) for the Renewable industry, to hire the dry dock on a project by project basis. The dry dock also offers a unique opportunity in its location, with the Neptune Energy Park offering a vast supportive infrastructure, as well as impressive on site capability and capacity. Dedicated project offices, which include Internet connections, toilets and dedicated car parking. 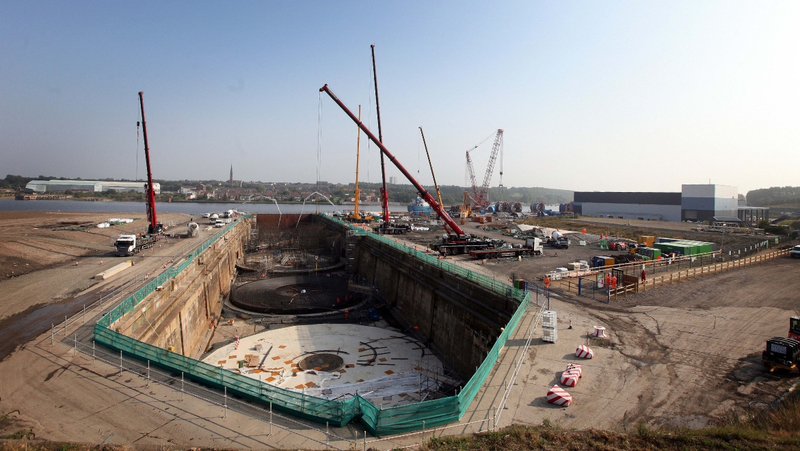 Currently, the dry dock is 217m long and 32m wide, with supportive quayside frontage of over 750m. A multi-million pound upgrade of the dock has included a new, adjacent concrete support area of over 52,000m ² that provides opportunities for high-value, load-bearing servicing projects. Dry docks of this type and scale are critical to global industry and play an influential role in defining the UK’s capabilities to service key sectors – including the energy sectors, oil and gas, large scale construction projects, and offshore renewables and decommissioning. The expansion of our dry dock facility has expanded our service offering, providing greater flexibility and allowing our clients to take on complex projects at the speed and standard that they deserve. Shepherd Offshore’s flexibility enables companies wishing to undertake civil construction to hire the dry dock on a project-by-project basis. Large & small scale construction and infrastructure projects. With a successful recent history of high profile projects using the facility, the capabilities and experience of our teams are exceptional. Neptune Energy Park dry dock is located within Wallsend and has manned access points and patrolled security. In addition, the site has numerous internal security controls, supported by secure two-metre high perimeter fencing and established ISPS certification and procedures, with dedicated security processes when required.